Let’s face it, all our lives center around what we have to eat. Without the right nutrition, we can become grouchy and distracted – resulting in unproductivity in our jobs and at home. This is exactly the same for our dogs. Inadequate nutrition can cause them to lose interest in the smallest of tasks, especially in dogs who have sensitive stomachs. 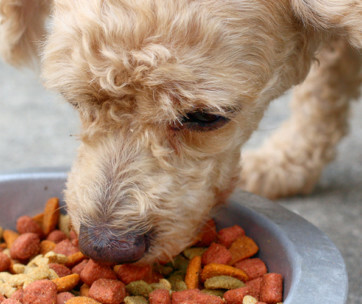 If all this sounds too familiar, it’s time to think about changing your pooch’s food for the better. Thankfully, there exists several food alternatives which could help your canine friend – resulting in them transforming back into their lively and energetic selves. 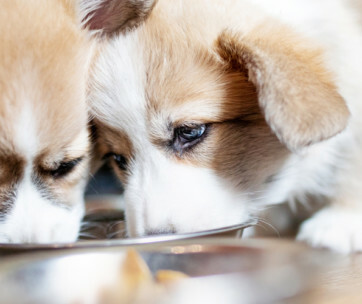 We’ve compiled together the top ten dog foods for sensitive stomachs out there to ensure that your pooch will be counting down the minutes until dinner time to enjoy their delectable food as well as plenty of nutritional benefits. Our pets show us that they love us unconditionally every day just by being them. By providing them with the correct nutrition can we begin to express our own love through food. 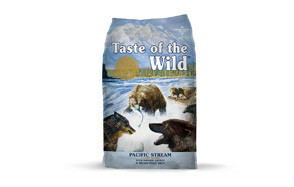 Taste of the Wild take pride in delivering the highest quality of nutrition into your pet’s diets. Their delicious formula operating from a base of smoked salmon as the number one ingredient is an authentic example of such attention to detail. The finest of protein is included to enhance your furry friend’s lean and strong muscles as well as soothing their stomachs. Inferior forms of nutrition such as grain, corn, and wheat are also excluded due to Taste of the Wild ensuring that your pet only receives the best of the best ingredients. The proprietary K9 Strain probiotics are added to the top-class formula after cooking to ensure that immune system support in your pupper is guaranteed. 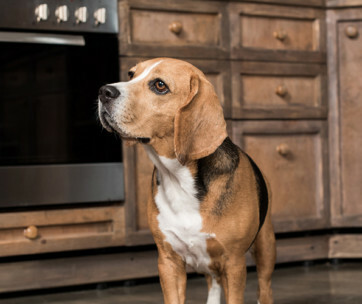 What’s more, every carbohydrate has been thought about: from the inclusion of sweet potatoes to legumes, your dog will be more than ready to take on the day. Their daily intake of marine-sourced omega 3 presents itself from salmon oil and will make your pet’s coat gleam when balanced out with omega 6. If quality grain-free food at a reasonable price is what you’re looking for, then we’ve found ‘the one’. When a dog formula contains high-quality meat, you know your furry friend is in for a treat. Yet by giving them Blue Buffalo’s formula packed full of turkey is substitutes for showing your unconditional love for them through food. Not normally included within dog food, it seems practically insulting to classify turkey as a protein alongside corn and soy; the former is packed full of all the nutrition your dog could ever need. Your dog’s energy demands will easily be met through the inclusion of potato and pumpkin; which are both delicious and are easily digestible. Likewise, a perfect equilibrium between omega 3 and 6 fatty acids will certainly improve their shiny coat and skin. Customers affirm that Blue Buffalo’s formula changes their dog’s lives and wish they’d just known about it sooner. Better late than never, we believe! Are you worried that your dog will lose joy in their food when given formulas to settle their stomach? Not only is Hill’s Chicken Dog Food for Sensitive Stomach’s delectable, it is also packed full of incredible nutrients. 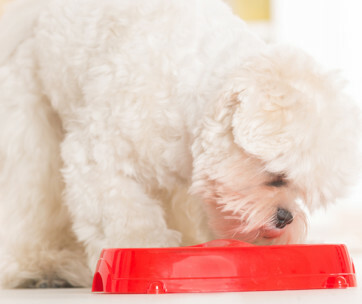 With Brewers Rice and Chicken being the two main ingredients, your dog will have licked their plate clean within seconds. What our furry friends don’t need are any manufactured ingredients for their already sensitive tummies, so Hill’s ensure that all artificial colors, flavors, and preservatives are excluded. Made in the USA, the brand take pride in specifically sourcing credible ingredients from dependable buyers. Both themselves are buyers alike are so confident in the formula’s success that a 100% money-back guarantee is on offer if you or your pet are unsatisfied in any way. If you want to solve all stomach problems, place your trust in Hill’s and watch their formula work wonders in your pupper. For dogs with food sensitivities, CANIDAE’s All Life Stage Dog Dry Food is a lifesaver. Crafted from farm-fresh ingredients at a friendly price, you now don’t have to compromise on your dog’s nutrition depending on your budget. The added probiotics are also a blessing: combined in this delicious mix of lamb and rice in order to support your dog’s active digestion. Your furry friend will be turning heads on the street after munching on this formula thanks to the included omega 6 and 3 acids bolstering their skin and coat. Created without any corn, wheat, or soy, CANIDAE’s tasty food is suitable for dogs at any stage and age. The only notable concern amongst buyers is that their dog just cannot stop eating or thinking about their brand-new food! Why not purchase CANIDAE’s formula today to see just what all the fuss is about. 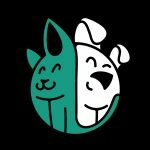 Wellness lives by two main rules when it comes to dog food: that meat should always be the number one ingredient and that minimal ingredients equals maximum nutrition. And it’s safe to say that they live up to both their mottos. This formula’s delicious combination of lamb – a fantastic source of high-quality protein ­– and oatmeal is appreciated and savored by dogs everywhere. Plus, just by reading through their small list of specially selected ingredients, it is evident that Wellness takes pride in what’s included in their dog food. Amongst these ingredients resides the infamous Chicory Root: this natural prebiotic simply perfect for boosting and enhancing your dog’s digestive system. To accompany it, the ingredient Flaxseed possesses Omega-3 in abundance which ultimately makes your dog’s coat incredibly smooth and silky. Likewise, probiotics are also contained in order to further aid digestion. If you’re ready to take your dog’s overall Wellness seriously, we know which brand to turn to. Wow. 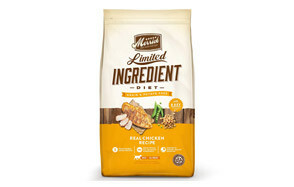 Merrick pulls it out of the bag time and time again, and it’s no different with their chicken, grain free Limited Ingredient Dog Food. Cooked in the USA, Merrick live by the minimal ingredient motto by including only eight key ingredients in their fantastic formula. Among them is single-source deboned chicken that operates as a high-quality protein in providing amino acids, vitamins, and minerals all at the same time. Designed for dogs with severe food allergies, your furry friend’s joints will also be supported along the way due to the inclusion of flaxseed oil. Merrick carefully selects each and every protein and carbohydrate to ensure that they’ll support easy digestion within your dog. Made with the fewest ingredients found in any natural limited ingredient diet dog food, Merrick consider your dog’s health as their number one priority. People flock to Natural Balance for the vast amounts love and carefulness they put into the product. Their Vegetarian Dry Dog Food is not different. For all the owners who desire their dogs to follow a plant-based diet, this true vegan formula is a balanced alternative that provides adult dogs with the same essential nutrients found in meat-based diets. To prove this, their combination of high-quality brown rice, oatmeal, and potatoes is packed full of goodness. As far as carbohydrates go, green peas are a viable substitute and operate as a natural health support. Don’t trust this logic and want to be completely sure? Natural Balance carries out nine safety tests on each batch of food – each one conducted by microbiologists and chemists – that ensure that your dog’s sensitive stomach is taken care of. For pet owners who need more proof, Natural Balance shows themselves to be completely transparent by publishing these results on their website. For owners who seek a diet for their sensitive-stomached dog deviating from meat, this kibble has it all. Wellness’ Turkey and Potato formula is designed to help digestion occur easier for dogs with food sensitivities and allergies. Thankfully, they can now do so while tucking into some tasty and nutritional food. The high-quality turkey is the single source of included protein that generates healthy side effects rather than containing harmful by-products. Although some may say canned foods are incredibly expensive, this brand has thought ahead to minimize individual cost by allowing an owner to buy packs of twelve at the same time. Now your dog can be treated to saturated, delicious, and high-quality food for just half the price! Instinct truly believes that all pets deserve the best life and health possible, which is what inspired them to take action by producing their Wet Canned Dog Food containing Rabbit. Just like all the top dog food that are designed to minimize sensitivities, this formula is made solely from one animal protein source in the belief that a kibble containing fewer products equals better health. Following this approach, this formula quite rightly contains no grain, gluten, potato, dairy, or any other by-products. Your dog will simply adore the rabbit flavor which remains packed with protein. Likewise, healthy omega 3 and omega 6 fatty acids are packed in there to enhance your pupper’s beautiful coat. All these essential ingredients are packed into a loaf; containing all these wholesome fruits and vegetables which can be eaten by dogs all ages and stages. It’s a kibble created for dogs in all walks of life. We couldn’t finish reviewing products suitable for dogs with sensitives stomachs without mentioning Natural Balance’s Chicken and Sweet Potato formula. One of the more popular wet dog foods to date, this canned food is formulated in such a way that even senior dogs are able to process it easily. As well as being ideal for older dogs, Natural Balance’s formula also offers complete and balanced nutrition for puppies and adult dogs. The limited carbohydrate sources have been specifically picked out by experts who live by the motto ‘quality over quantity’. What’s more, the tinned product is grain free, thereby helping to support healthy digestion. It’s a must-buy for any owner fed up of seeing their dog down in the dumps from sensitive stomachs. There's nothing worse than seeing your dog depleted after eating the food that you gave them. Although several owners often feel responsible for their suffering, it's important to note that many dogs experience sore tummies on a daily basis. Taking the initiative to look up solutions to this problem is truly showing that you care about your dog's health and happiness. Many seem to believe that the term 'probiotics' sounds unnatural. In fact, they're quite the opposite! Probiotics are otherwise known as the 'good bacteria' residing in dog food that strive to make digesting ingredients that bit easier. Being an essential part of the immune system, they thereby encourage healthy digestion. All exemplary dog food should add probiotics live after cooking the food to ensure maximum survival. What's more, evidence goes to show that supplementing your pet's diet with probiotics will encourage better GI tract health overall. Wait, so these two words aren't the same? Prebiotics are incredibly similar to probiotics but instead, serve as the nutrition for the health and performance of probiotics – the 'good bacteria' – in your dog's digestive tract. They manifest themselves in ingredients such as beet pulp and soy beans – these non-digestible food ingredients being those which probiotics feed off of. Therefore, look out for the inclusion of both prebiotics AND probiotics before picking out your new dog food! Ah, protein. All our pets crave protein – one of the main macroingredients residing within food – for its nutrients and desirable amino acids. It is important for all kinds of growth and development. However, not all protein is high-quality. It's therefore important to opt for top-notch protein such as fish and avoid choosing dog food containing corn, wheat, or soy. Although many dogs with sensitive stomachs are easy to diagnose, sometimes their symptoms aren't so obvious. Don't lie; we've all been sitting around the TV with our friends or family and accidently let one rip – then blamed it on the dog! Although we may laugh that our furry friends stink our home out, too much gas can actually be a sign of something more serious. Accompanied with audible gurgling after eating and stinky breath, these are surefire hints that your dog isn't comfortable with their current diet. Does it ever feel like you’re constantly filling up your dog's water bowl only to fill it up again ten minutes later? Dehydration in your dog could be a sign that they are having troubles with their digestion. Likewise, keeping an eye of what's coming out of the other end of your furry friend is heavily important. Due to societal sensitivity we tend not to speak about our poop, even though it speaks volumes about our internal digestive system's overall health. Warning - When your dog has blood in his stool, this could be a sign that something more sinister is going on. We highly recommend going to a vet to learn more. Has your dog gone from a fun-loving pupper to moping around the house? Do they no longer want to spend their time playing with their friends on walks and would rather plod behind? Evidence has shown that sudden behavioral changes such as depression and overall disinterest in what's going on can often be linked to an upset stomach. Implementing a veterinarian-recommended diet is the first step to owning a happy and healthy pup. Yet what you don't want is to accidently 'treat' your dog with food which may set them and their sensitive stomach back. Listed below are a list of ingredients you may think are harmless, but which should absolutely be avoided. Dog Food containing an acceptable level of fat compared to too much fat can make all the difference when it comes to an upset tummy. Due to fatty foods often being harder to digest in comparison to protein-fueled diets, the inclusion of fatty-fueled diets could be your dog's downfall. One top tip is to scrutinize the ingredients label on the food your dog currently eats and see if any fatty or oily ingredients are in the first four food sources listed. It's important that you choose dog food next time which is therefore easily digestible. Read the Label: If It Looks Unnatural, Avoid it! Any long and confusing words present on your dog food label? Too many of these could indicate an abundance of chemicals which often wreak havoc on our furry friend's tummies. Steer clear of any formulas including artificial preservatives, flavors, or colors. One handy rule of thumb: if you don't see any 'natural' ingredients when reading the first few ingredients, don't bother buying. As mentioned above, it's important to implement a diet for our dogs possessing an adequate amount of protein. As mentioned above, formulas containing fish such as salmon are a great example of high-quality protein. Yet ingredients such as grain, corn, wheat, and filler don't give your dog the protein they truly need to develop their lean and strong muscles. Subsequently, opting for grain-free recipes is the way to go. 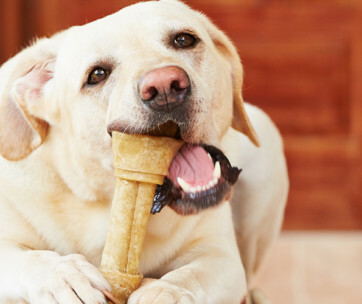 You've switched food and now your dog has more energy than ever before. Yet for certain periods of time, they seem to go downhill again. To help keep your dog's insides functioning well, read these tips below to understand that it's not just their food that needs changing. As always, any changes we undergo in our daily lives should be implemented slowly to facilitate an easy transition. This prevailing logic is indistinguishable when changing our dogs' diets. To not upset your dog's stomach even more than it has been in the past, gradually bring in the new food slowly and steadily. 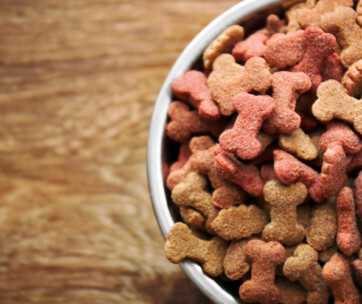 Thankfully for any doubtful first-time switchers, several top brands such as Hills create 7-Day Transition Schedule's which recommend mixing your dog's current food with the new food whilst decreasing the amount of current food as each day passes. You won't have to attempt this scary process alone! It always feels like great bonding time when you have leftovers and give them to your dog. The moment their face lights up when you scrape food scraps into their bowl isn't one to miss. Yet this moment of happiness certainly won't seem worth it a few hours later when they'll most likely be suffering from tummy troubles. We tend not to consider that what may be a little treat for us is equivalent to a whole meal for dogs. Dog's LOVE food. This won't come as a shock to those owners who live with a starver who are constantly giving you paws and staring you out with their sad eyes until dinner time finally arrives. But when they're presented with this much sought-after meal, it disappears within a couple of seconds. However, dogs that eat fast ingest a lot of air at the same time, leading to upset tummies. For this reason, we recommend dividing up these bigger meals into smaller portions. This way, your furry friend's stomach will cope better due to not inhaling such a large quantity of air at one point. Plus, on your end, you'll be able to see your dog's furry face light up with glee when you tell them it's time for food even more times a day. It's truly a win-win situation. If we had to choose, what incredible formula out of those reviewed today would we place in front of our own pooch? Taste of the Wild's Pacific Stream Canine Recipe with Smoked Salmon is the best of the bunch. Containing bundles of high-quality protein thanks to the real salmon, the formula is sure to develop your dog's muscles whilst being easy to digest. The added vitamins and minerals only augment the overall health benefits! Likewise, the inclusion vegetables and fruits operating as superfoods improve their overall immune system. Finally, our favorite feature is the guaranteed addition of probiotics added AFTER the kibble is cooked. 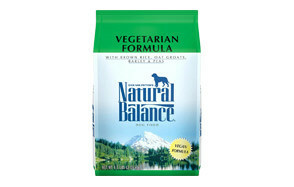 It's truly a formula designed with your dog's best interests at heart.